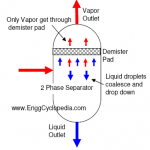 Atmospheric Distillation Unit - Crude oil is sent to the atmospheric distillation unit after desalting and heating. The purpose of atmospheric distillation is primary separation of various ‘cuts’ of hydrocarbons namely, fuel gases, LPG, naptha, kerosene, diesel and fuel oil. Air Cooler - An air cooler is simply a pressure vessel which cools a circulating fluid within finned tubes by forcing ambient air over the exterior of the tubes. A common example of an air cooler is a car’s radiator. Air coolers are used in industrial applications when reliable source of water is not available. Even if water is available, in some cases, air cooled exchangers are favored for economic & operational reasons. Boilers - Boilers are basically vessels used for heating the water and converting it to steam, as the name suggests. Boilers vessels generally use an internal heat source for boiling the water. Generally the steam is used as a utility in process plants and needs to be available at certain temperature and pressure conditions. A boiler is designed based on the desired temperature pressure conditions of the product steam. 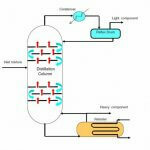 Bottoms Reboiler - The liquid outlet from bottom of a distillation column is close to its initial boiling point, due to near equilibrium conditions on each of the distillation column trays. 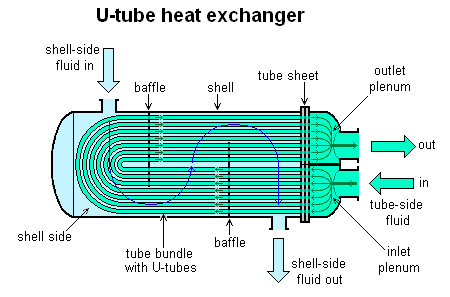 This reboiler, which is essentially a heat exchanger, heats up the liquid. A reboiler may use steam, fire, another hot liquid etc. Centrifugal Pumps - Everything about centrifugal pumps including structure of the pumps, theory & equations for centrifugal pump design, guidelines for operation & maintenance of centrifugal pumps, overloading of pumps, cavitation of pumps, internal recirculation in centrifugal pumps etc. Compressors - Compressors are broadly classified into two basic categories: Rotodynamic compressors and Positive Displacement compressors. 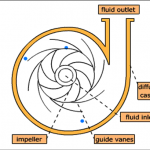 Centrifugal compressors are discussed as rotodynamic compressors. Rotary and reciprocating compressors are discussed as positive displacement compressors. Crude Oil Storage Tanks - Crude oil untreated and unrefined are stored in tanks for shipment to other locations or processing into finished products. There are four basic types of tanks used to store petroleum products: (1) Floating Roof Tank used for crude oil, gasoline, and naphtha. (2) Fixed Roof Tank used for diesel, kerosene, catalytic cracker feedstock, and residual fuel oil (3) Bullet Tank used for normal butane, propane, and propylene (4) Spherical Tank used for isobutane and normal butane. Demineralizers or Ion Exchangers - Dissolved impurities and foreign particles entrained in power plant fluid systems generate corrosion problems and decrease efficiency as a result of fouling of relevant heat exchanger surfaces. Demineralization of water is one of the most commonly used processes to remove dissolved impurities. Desiccant Dehumidifiers - Dehumidified air is widely used for industrial applications for various anti-corrosion protection as well as preservation measures. A desiccant dehumidifier consists of a corrugated wheel impregnated with desiccant like silica gel, so that air can pass along the corrugations. 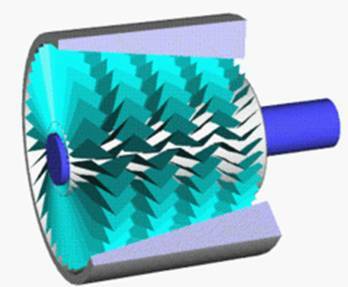 As the air passes through the wheel, moisture is attracted from the air onto the desiccant. 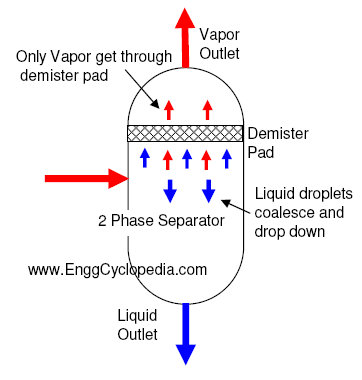 Another hot air stream for reactivating the desiccant heats up the dessicant to remove absorbed moisture. Diesel Engines - A stroke in the engine refers to the distance travelled by the piston from the top of the cylinder to the bottom. For a diesel engine, the highest point of travel by the piston is called top dead center (TDC), whereas the lowest point of travel is called bottom dead center (BDC). There are 1800 of travel between TDC and BDC, or one stroke. 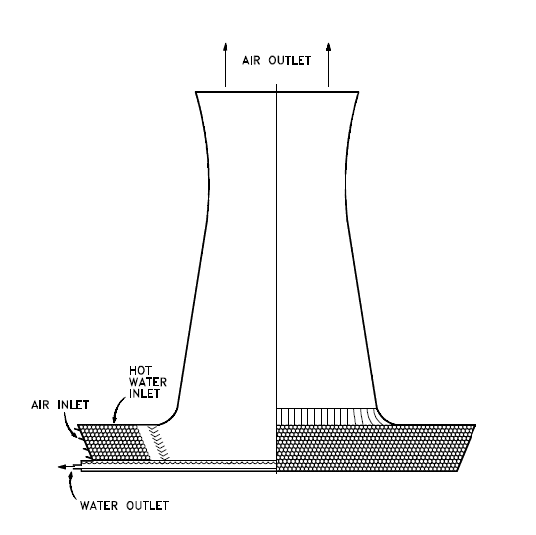 Electrostatic Precipitators - Electrostatic precipitators (ESPs) are industrial emissions control units that are typically installed at coal power plants. Their purpose is to collect and remove dust particles from the exhaust flue gas of a power plant at a typical efficiency level of 99.9% or more. 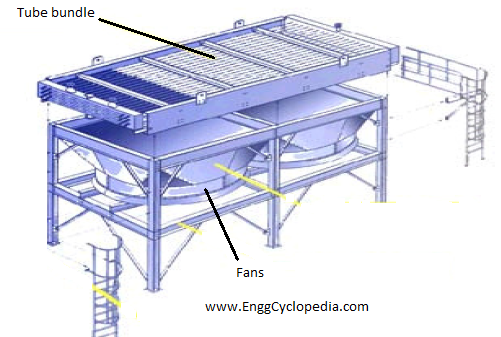 Electrostatic precipitators work by placing a positive charge on a group of plates installed at the exhaust gas stream. Hydraulic Systems - In hydraulic systems, oil from a tank is stored in an oil tank from where it is pumped to move pistons. A filter is typically installed at the suction of the pump in order to filter out any impurities. The pump, usually a gear type or positive displacement pump, is usually driven by an electric motor (less often by an air motor). Industrial Silencers -Industrial silencers are used to control the noise associated with a wide range of industrial processes. Products include vent silencers, blow-down silencers, engine silencers, blower intake silencers, gas turbine silencers, vacuum pump silencers, centrifugal compressor silencers, discharge silencers, chimney silencers and more. Phase Separation Equipments - Basic descriptions of structure and functioning of phase separation equipments and special internals of these equipments such as knock out drums, degassers, steam drums etc. are presented. Typical P&ID arrangements for such phase separation systems make the picture clearer. 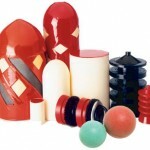 Calculators for sizing these phase separators are listed to supplement the theory. Steam Desuperheater - Normally in chemical or oil & gas process plants, available steam is at superheated conditions. Sometimes the high temperature of the superheated steam is not desirable and it may be required to desuperheat the available steam to its dew point or saturation temperature. Deuperheater is used to take out the excess heat from steam to bring down the steam temperature to saturation level. 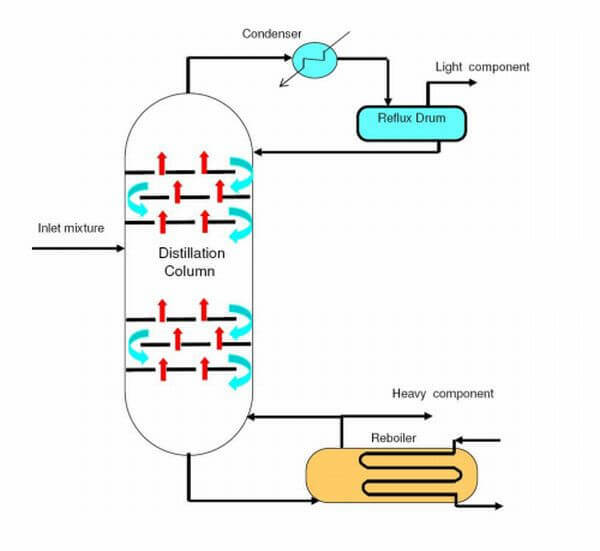 Distillation Column - Distillation is a commonly known method for separation of two liquid components with different boiling points. The ease of separation through distillation usually depends on the difference between boiling points. For a significant difference between boiling points of two liquids, they can be separated by batch distillation where one liquid remains almost completely in liquid form at the boiling point of the other liquid. Heat Exchanger Types - The heat exchanger design and structure varies a lot depending on the application where they are used and the heat exchange media involved. Following types of heat exchangers are discussed - Plate and frame exchangers, Spiral type exchangers, Plate-fin heat exchangers, Air coolers, Double-pipe (hairpin) heat exchangers, Shell and tube exchangers etc. Heat Transfer Equipment - Heat exchanger design and structure of these equipments varies a lot depending on the application where they are used and the heat transfer media involved. Role of following factors in heat exchangers is discussed - temperature difference between hot and cold media, nature of fluids, type of flow, surface area for exchange of heat, turbulence etc. Liquid Ring Vacuum Pumps - Typically pumps increase the pressure of pumped fluid. Unlike conventional pumps, Liquid Ring Vacuum Pumps are used to pull air out of low pressure vessels so that the vessel pressure drops below atmospheric pressure value and vacuum conditions are created. 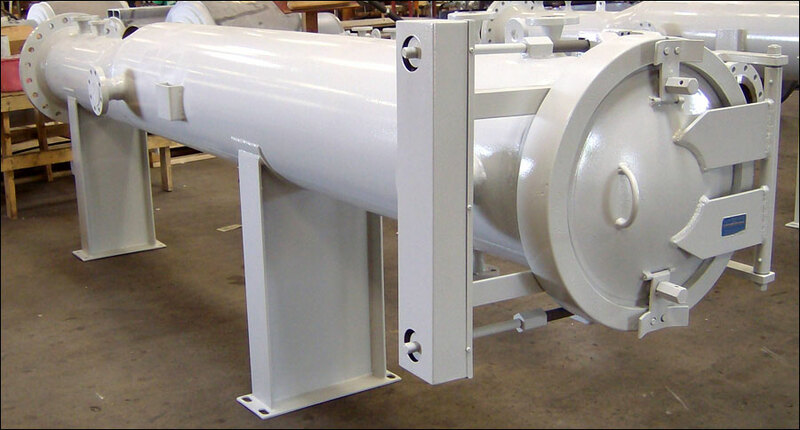 Overhead Condenser - Separator vessels, storage tanks, heat exchangers, columns and certain piping segments etc. 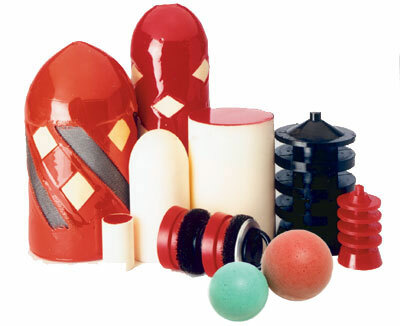 are designed to handle certain operating pressure. However combination of a variety of causes may lead to over pressure in these equipments which may exceed the maximum allowable working pressure (MAWP) value. Various overpressur causes and scenarios are discussed. 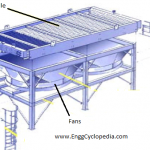 Overhead Condenser - An overhead condenser, which is essentially a heat exchanger, cools down vapors from overhead of a distillation column using a coolant stream usually cooling water. Being close to the initial dew point, the heavy component vapors are readily condensed while most of the light component still remains in vapor phase. Pig receivers / Pig Launchers - Pig launchers are essentially vessels used for launching of a pipe pig or a pig tool into the pipeline for cleaning or inspection purpose. After being launched into the pipeline, the pig tool is pushed through the pipeline by a driving fluid. The pipeline is cleaned along the way by brushing action from the pig. On the other end the pig tool is received by a pig receiver. Pipe Pigs - Pipe pigs are capsule like objects used for cleaning of pipeline by pushing them through the pipeline using fluid pressure. 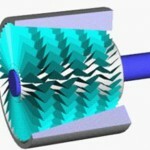 The pipe is cleaned by brushing action from the pig tool. This cleaning process is called pigging. Pigging is also done for inspection of pipelines and not only for cleaning pipelines. 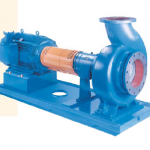 Pumps - Pumps can be broadly classified into two basic categories: Centrifugal pumps and Positive Displacement pumps. Centrifugal pumps have rotating equipment parts imparting momentum to the fluid particles which is later converted to pressure. 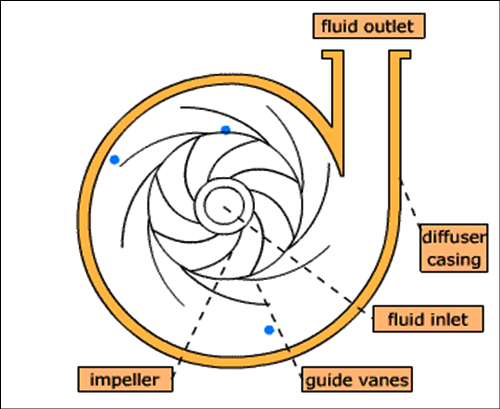 For centrifugal pumps the discharge flowrate and differential head developed in the pumps are strongly dependant on each other. Whereas for positive displacement pumps, the discharge flowrate is nearly independent of the downstream pressure. 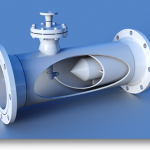 Shell & Tube Heat Exchangers - Shell & Tube Heat exchangers consist of metal tubes passing through another metal enclosure, which is referred to as the 'shell'. 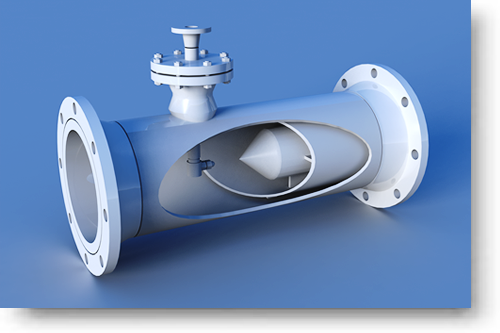 Using different combinations of the tubes and the 'shell', shell & tube exchanger design can be easily customized. This versatility has made these exchangers very popular in the process industry. Read more about their classification, structure, design equations, standards, related calculations etc. 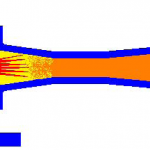 Steam Jet Air Ejectors - A high pressure motive fluid, typically steam, enters the steam ejector and passes through the nozzle. Through this nozzle, its velocity increases and consequently low pressure exists at that point on nozzle. 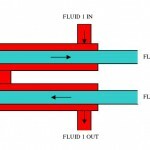 This low pressure draws the suction fluid, typically air, into the mixing chamber where it mixes with the motive fluid. Steam Traps - The basic role of steam traps is to remove steam condensate, air or other incondensable gases from a steam system, while at the same time not allowing live steam to escape. Following different types of steam traps are discussed - Thermostatic steam trap, Mechanical steam traps, Thermodynamic steam traps etc. Storage tanks - Types of storage tanks are discussed along with their characteristics and when each type can be used. Following types are discussed - Spheroids, Spheres, Horizontal Cylinders, Fixed roof tanks, Floating roof tanks, Bolted type tanks.